Habitat: Desert, Upland, Riparian. It is often found in or near desert or upland washes and riparian areas. This attractive plant is also cultivated as a garden ornamental and will often reseed itself. Flowering Season: Summer, Fall. This wildflower blooms after the summer monsoon rains have begun. Description: The small flowers are in large, conspicuous panicles (branched inflorescences) that are either erect or leaning. 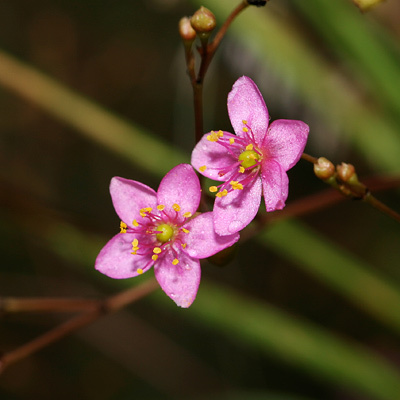 The individual flowers have 5 egg-shaped petals in varying shades of pink, yellow anthers with pink anther filaments, a rounded, green superior ovary, and sepals that are usually deciduous. 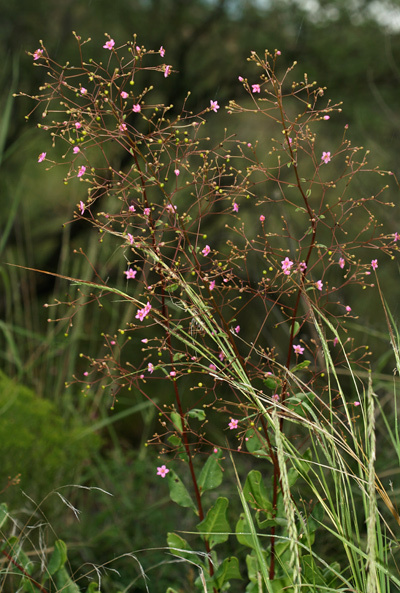 The flowers are followed by small, rounded, green to red seed capsules. 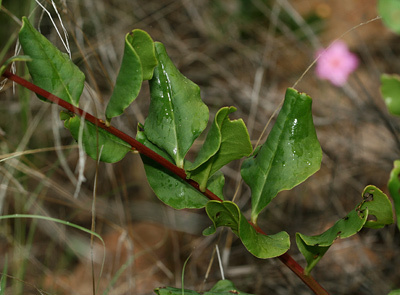 The leaves are green, fleshy, hairless, alternate, and elliptic to egg-shaped with a tapering leaf base and smooth margins. The stems are erect, hairless, usually reddish in color, and semi-woody. The plants have thick, fleshy roots.